I might as well start with an introduction as to who I am and my history with herps. My journey with reptiles began about 29 years ago when I got my first snake, a Red Corn snake. Shortly after that I started volunteering at t a local exotic pet store in Las Vegas called Exotic Pets International. I volunteered there for a couple years. I also ran a small local history museum at my school. We had 13 snakes, 2 octopi, and other misc animals. I learned alot during that time, and shortly after I started breeding corns. 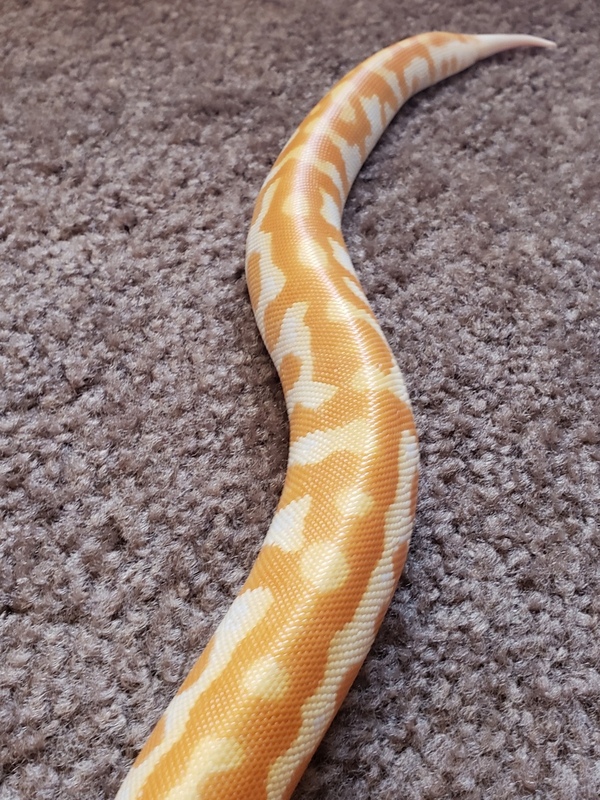 No fancy colors, just normal corn snakes. By the time I was 23 I lost all my reptiles due to moving, and other unforseen circumstances. 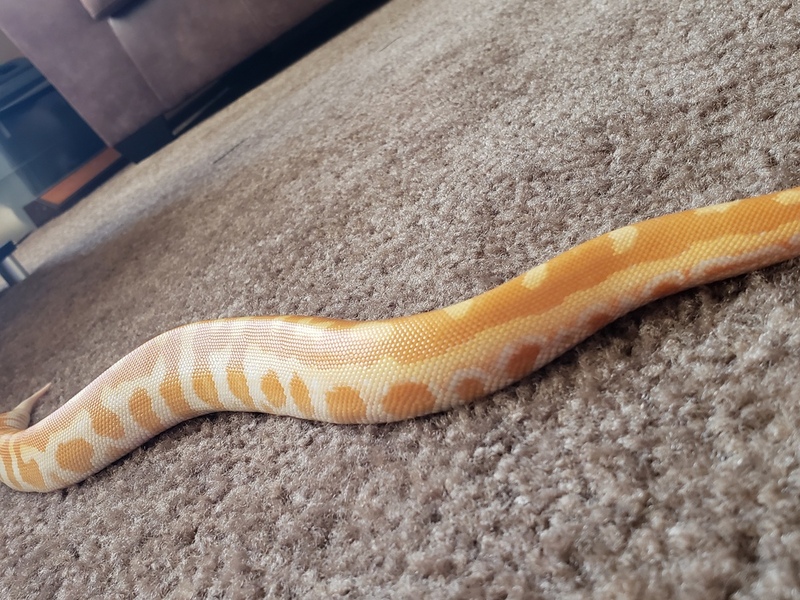 For the next 20+ years I did not keep any reptiles or animals as my home situation was not stable, and I knew I wouldn't be able to keep anything long term. Then at about 32 I bought a 16 FT burm. Great snake. Very Tame. But then again my house situation changed, and I had to get rid of him. Now many years later I am looking to buy a house. I am very stable. 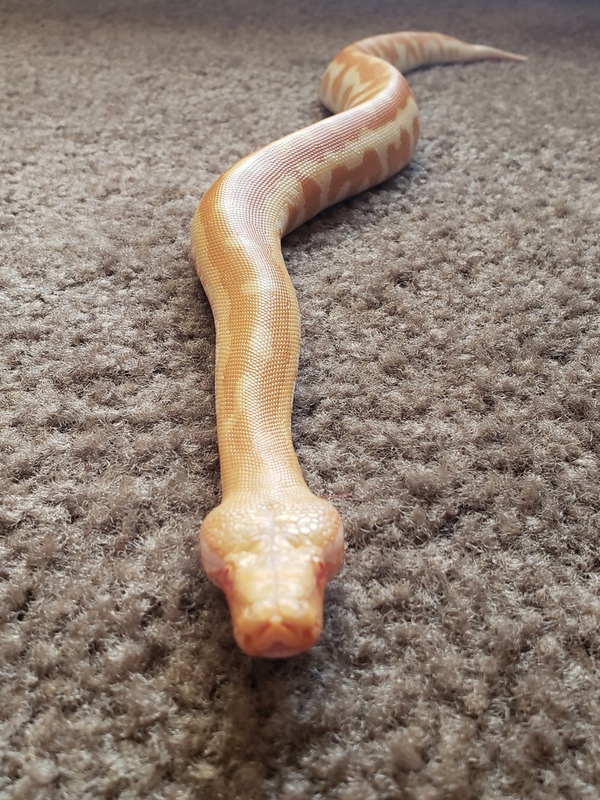 So I decided to purchase a Blood Python. 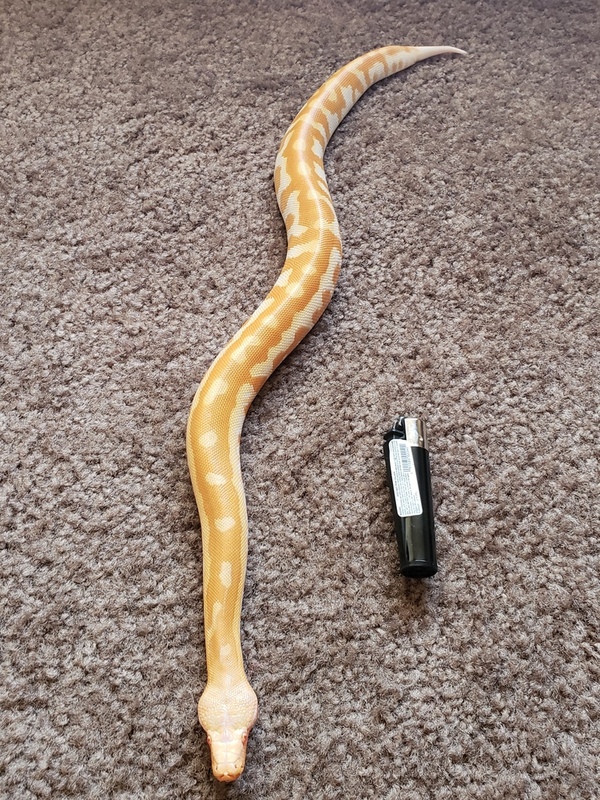 He is an T- Albino. Very tame and beautiful. I will post photos in the blood python forum. So here I am with a beatiful Juvi Blood Python. I have been thinking about breeding again, but this time. Blood pythons, to be specific I want to breed Matrix, Batik, and 007 T- albinos. I am always up for listening to advice from others so if anyone has any insight what so ever on breeding blood pythons, I am all ears. Octopi are pretty cool in my opinion- maybe not as interesting as snakes, but it's funny seeing them on the move. I'm amazed you had two of them to care for during your school days. While I don't keep or breed blood pythons, I'm looking forward to hearing about your progress in doing so. Yes it will be slow progress on the breeding. I am in the process of buying a house. Once that is over with I will see what I can do as far as a room dedicated to the snakes. For at least the next 6 months I will not be moving forward with breeding. Another side note. Since its been so long since I've bred I am probably going to start breeding KSBs first. Then once I succeed there I will move to the Blood Pythons. I just don't want to end up with $5000 worth of slugs. Thanks for the kind words guys and gals. I appreciate it. This snake is so calm. Its a sweetheart.